Finally, heading back to Kona and away from big traffic jams and the rest of my laid-back vacation. 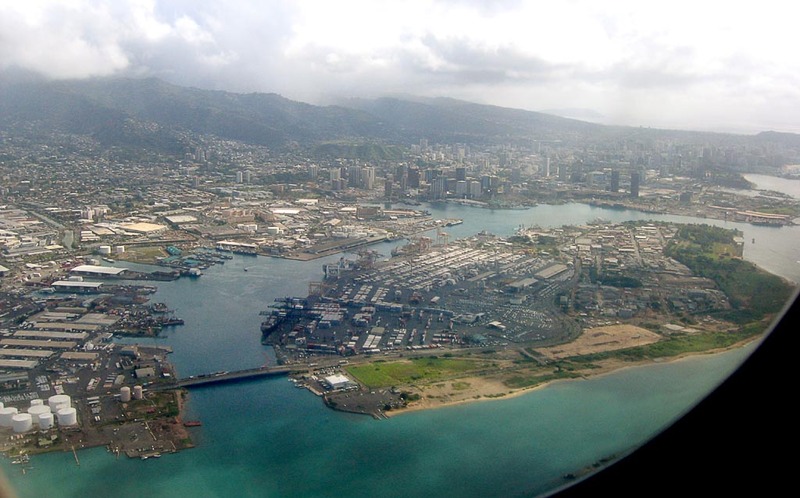 The islands have been cloudy and rainy lately but I got some shots from the plane as I left Oahu. Here’s a shot of Sand Island (renamed Rainbow Island in the 70s but it never stuck) and Honolulu Harbor. Click on the photo for a larger version. Another shot that you can click on to enlarge. Waikiki with Diamond Head in the bottom right. 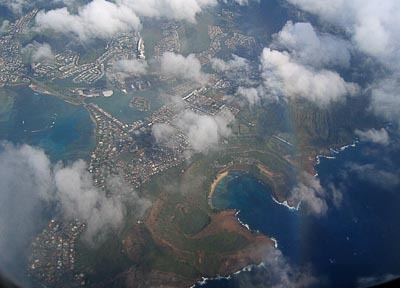 Finally a shot of Hawaii Kai and Hanauma Bay, the last shot I could get due to the clouds and rain we ended up flying through. 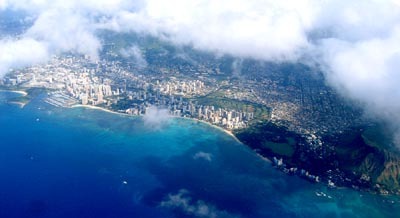 I once drove over 100 miles in one day looking for feature photos for Sun Press newspaper in Hawaii Kai area including Sandy Beach. We photographers had always considered looking for feature photos in Hawaii Kai and Mililani areas the most difficult during a weekday. Both are bedroom communities where no human beings are doing much during the day that we haven’t already photographed. It’s amazing what we did shoot in these communities, we knew these places inside and out.